This year on Super Bowl Sunday, the game didn’t start until 6:30 pm EST. Since we’re looking to buy a farm in the area, and the game started in the evening, we decided to take a drive to one we found listed for sale a couple of hours away. By the time we returned home the game was almost on and we needed to make something for dinner. 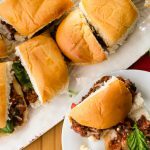 These sloppy joe sliders were both easy and great for munching in front of the TV. Being short on time, I needed to make something for dinner that both pleased my football fans and wouldn’t drive me crazy to put together in a short time. Italian Sloppy Joe Sliders. 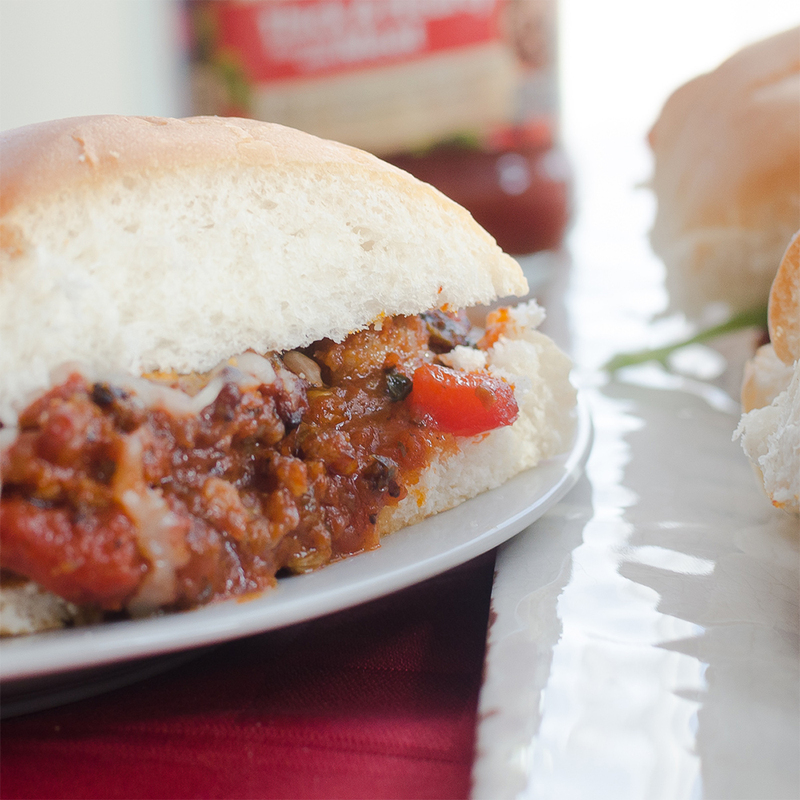 Imagine traditional sloppy joe sandwiches, but replace the ground beef with Italian sausage and the traditional tomato sauce replaced with RAGÚ® (I used the Homestyle Thick & Hearty Flavored with Meat Sauce variety). The sauce is pretty easy, especially since half of it involves opening a jar of Ragu sauce. First, I cooked and browned the sausage. Once that was done, I added chopped tomatoes, black olives, a diced green pepper. Then I added the Ragu sauce and let it simmer for a couple minutes. The beauty of this recipe is that it’s so easy and tasty because it uses Ragu. How much simpler can it get? I saved a ton of time using it. If you would like to find more recipes like this one from Ragu, check them out online. There are many sauces to choose from. I used the Home Style Thick and Meaty sauce, but there are several more. Learn more about other Ragu Homestyle sauces here. Italian sausage, hearty tomato sauce, and vegetables, topped with mozzarella in between two slices of sweet Italian bread. Slice the Italian bread in half lengthwise and into sandwich size pieces, then place on a baking sheet. Preheat the oven to 350 degrees Fahrenheit and bake the bread for 10 minutes. In a large skillet, brown the Italian sausage on medium heat, and add the diced red bell pepper, black olives, parsley, and tomatoes. Cook for 3-5 minutes or until the bell pepper is soft. Add to the skillet the RAGÚ® Meat Sauce and allow the sauce to simmer for an additional 5 - 10 minutes on low heat. Spoon the sauce on the bottom half of each sandwich, and sprinkle the parmesan and mozzarella cheese. Bake for an additional 5 minutes or until the cheese is melted. Remove from the oven. Place a basil leave on each sandwich and replace the top half of the bun.